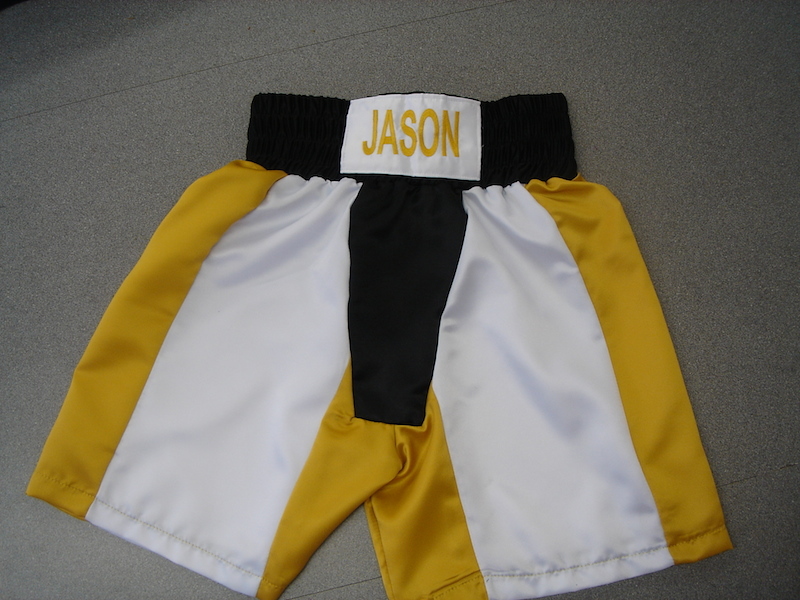 We offer made to order boxing shorts and vests in a wide range of colours and styles in both children and adult sizes. 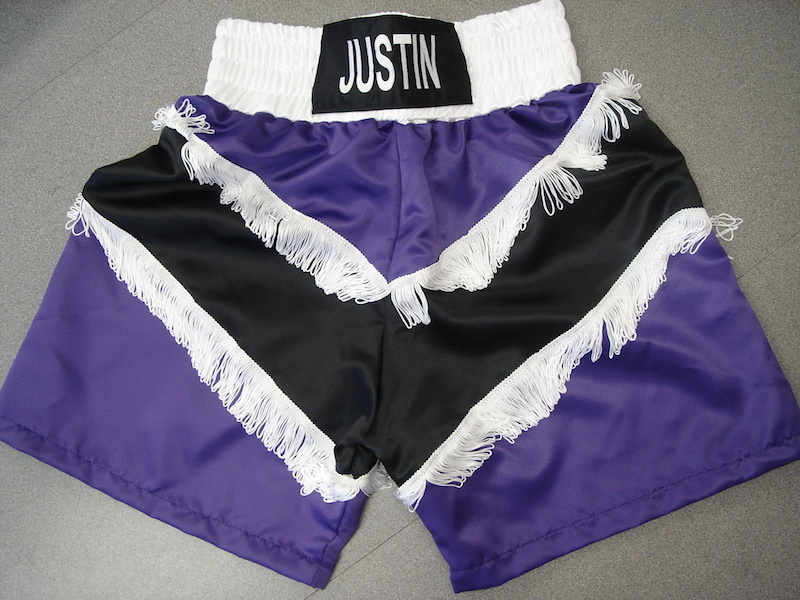 You can choose from polyester or satin boxing shorts and all can be embroidered or printed with names, logos and sponsors. 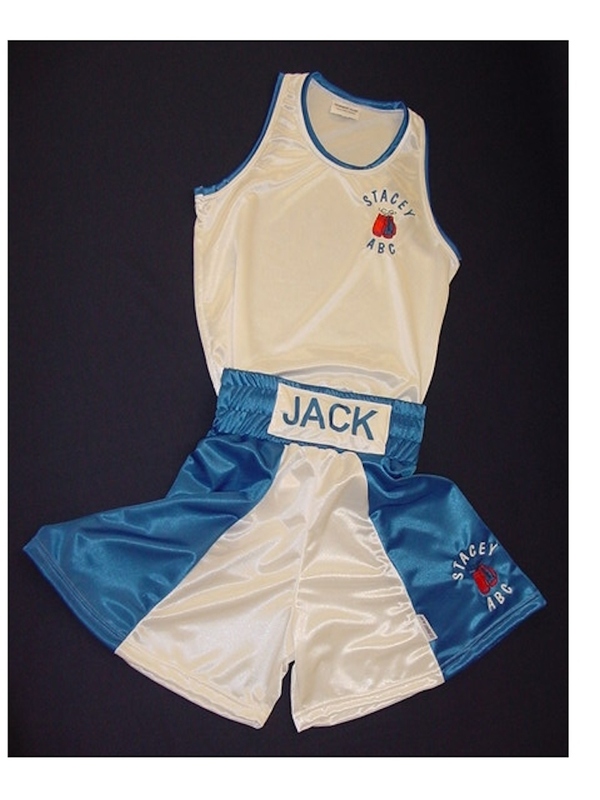 We also manufacture boxing robes and cornerman jackets in a wide range of colour combinations. 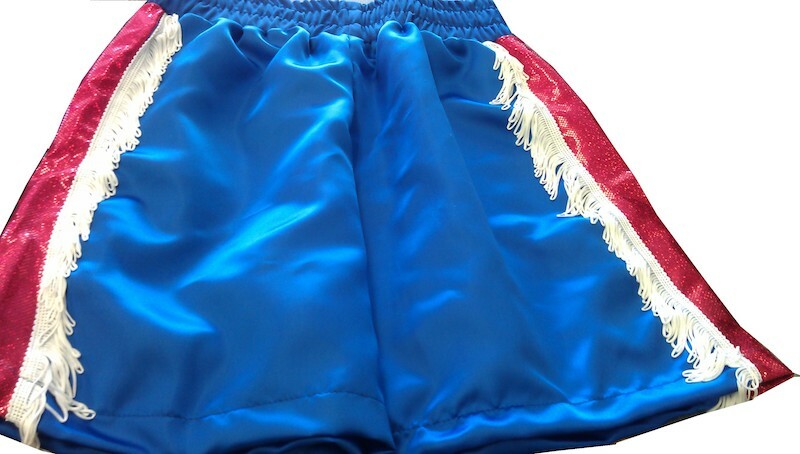 As well as the basic boxing kit, we also offer bespoke shorts complete with tassels, sequins and hologram fabric. 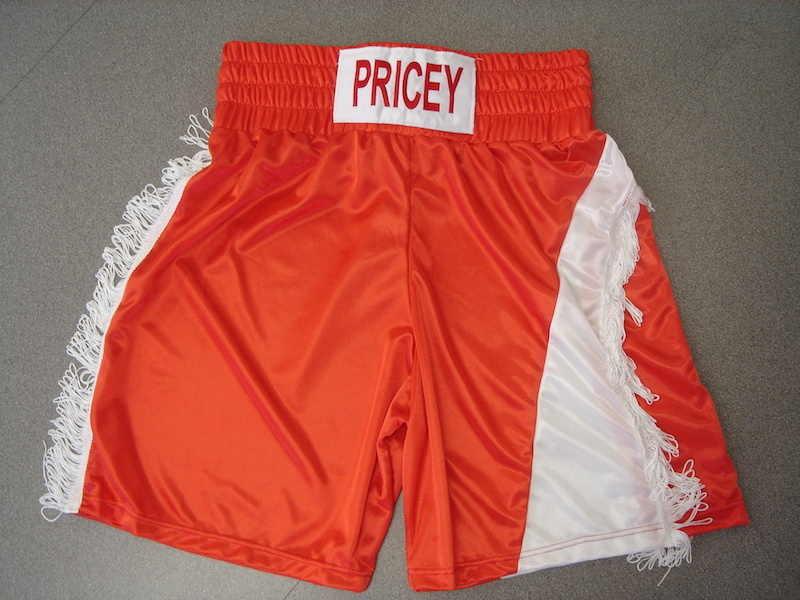 We have no minimum order, so, whether you’re looking for a custom pair of boxing shorts or a new boxing kit for your club, give us a call and one of our friendly team will be happy to help.